Machine-to-Machine (M2M) Communication has led to the evolution of “Smartness” to everything from the grid to the city. The number of advances in M2M technology has initiated energy-efficient innovations, which are driven by Big Data analytics and M2M Application Platform. Further to this, privatization and newer regulations have unlocked the market with a serious competition, providing businesses and consumers increased number of choices to meet their energy needs. The Internet of Things is expected to grow to 50 billion devices by 2020, and manufacturers, utility providers, and consumers are taking advantage of information that flows from multiple assets. According to a report by Deloitte, energy and utility are estimated to drive future market growth of Machine to Machine (M2M). This is a result of the Government of India’s serious initiatives to deploy smart energy meters. Energy and utilities application markets are expected to grow at a CAGR of 38.12 per cent from the period of 2011-2016. Globally, it is estimated that by 2020 there will be around 1.5 billion M2M communications in the utility business, majority of which will be Smart Meters. Focused on the next generation energy grids called Smart Grids, M2M technology addresses some of its key issues such as grid security, failure in distribution network, line losses, and overloading. As the energy resources are depleting day-by-day, the worldwide focus has shifted towards achieving energy conservation and green energy with M2M solution. 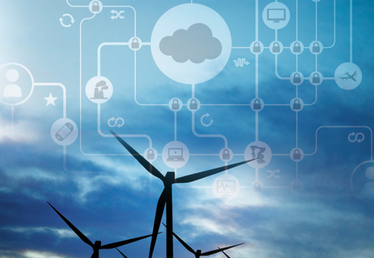 M2M applications have enabled power utilities to control assets from anywhere, and at any time. In addition, it is estimated that the Energy and Utility sector will be completely dependent on renewable energies, and will result in a share of 20 per cent electricity from renewable sources by 2020. For the renewable energy sector M2M technology brings sophisticated solutions for some of its key issues in renewable energy installations, plant monitoring, fault management, and performance monitoring. Buildings consume enormous amount of energy and M2M technology enables energy efficiency within buildings. Smart building systems can be used to control every facet of the environment from security, climate, and lighting. Smart buildings drive passive asset monitoring, energy savings, controls carbon emission, and yields payback in few years. Consumers have become very active in managing energy consumption. Smart home market is in the growth phase with the emergence of smart meter and government incentives to support consumer energy efficiency. Connectivity in the cars market is huge and it will achieve large penetration in the years to come. One of the positive developments from the connected cars apart from automation is fuel efficiency and reduced carbon emissions. With real-time data-collection and analytical capabilities in M2M, connected vehicles have the potential to be tremendously fuel-efficient.